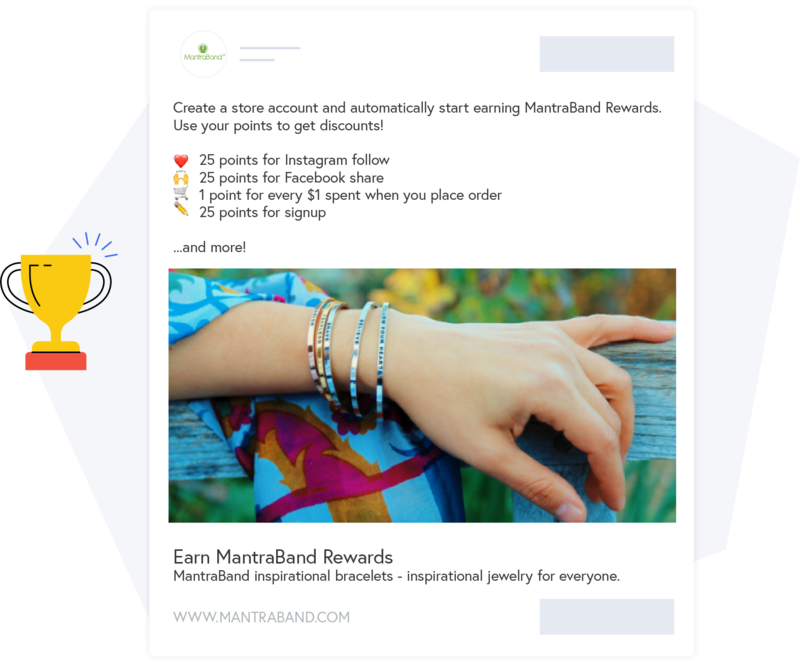 This integration will aim to get past purchasers to sign up or redeem points for your rewards program. 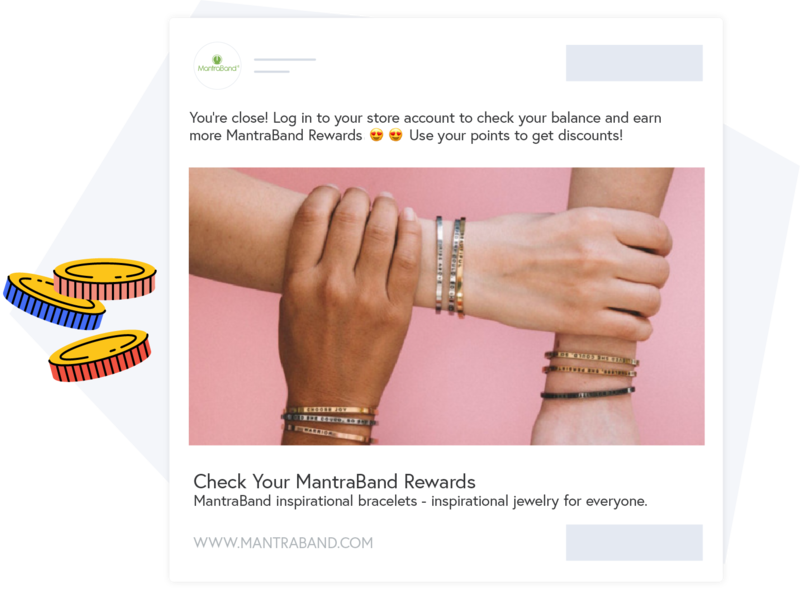 Once you've installed this integration you'll receive several Nudge Campaign proposals per month that are aimed at both potential and current rewards program members. 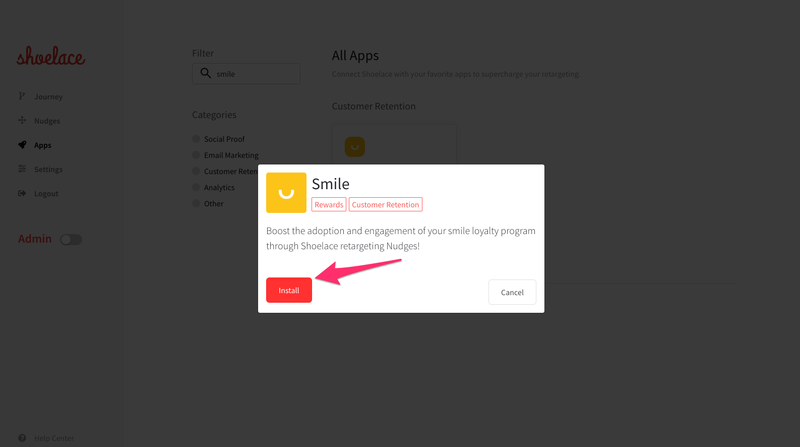 Example of Smile nudge aiming at current reward program members. 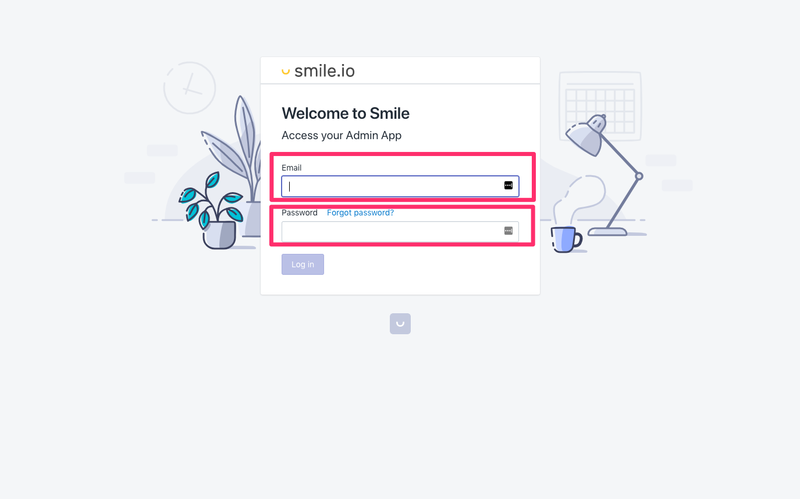 Example of Smile nudge aiming at potential reward program members. 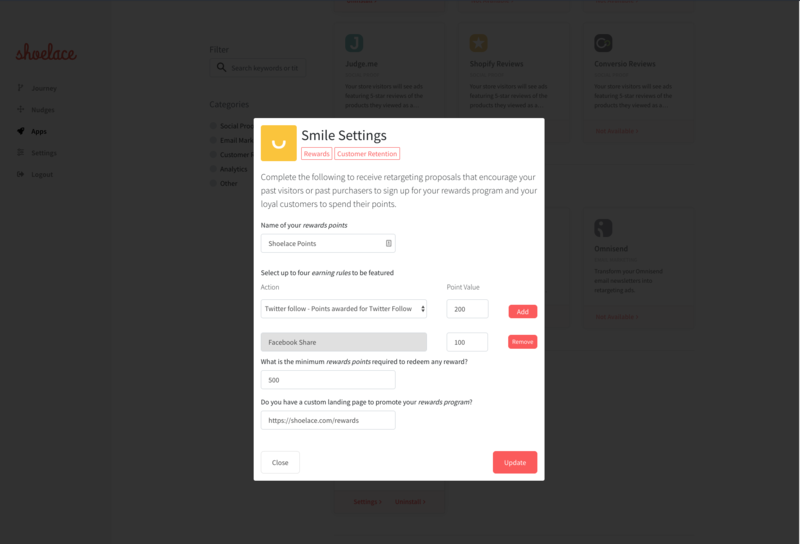 If you are currently not using our new interface you can see how to install our Smile integration via Shopify here. 1. 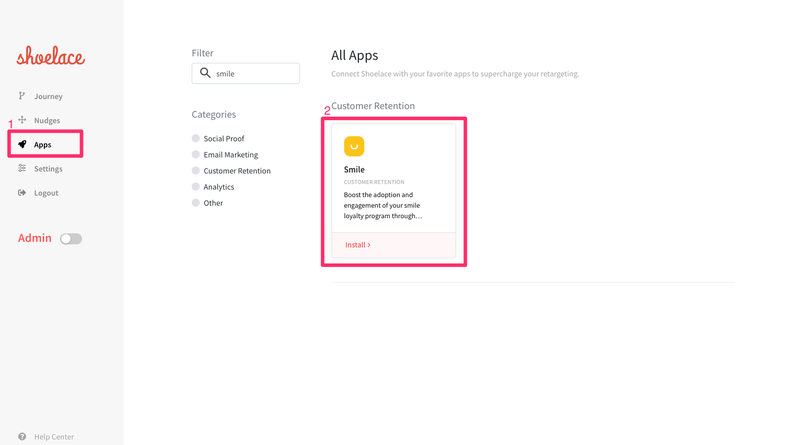 Find the Smile app from the Apps section in the left hand column in Shoelace and click "Install". 2. 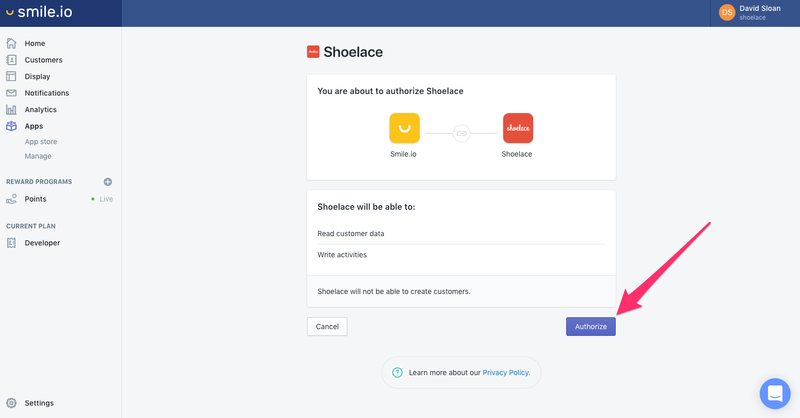 From the popup menu click "Install"
Keep in mind you can only have a maximum of four earning rules. 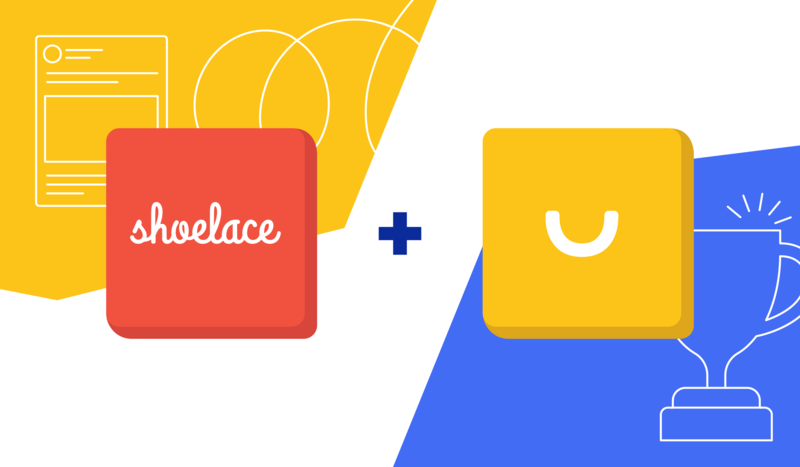 You will receive new Smile Nudge Campaigns every month or every time your earning settings are updated so be sure to head into the Nudges tab in the Shoelace app and set your Nudges live.